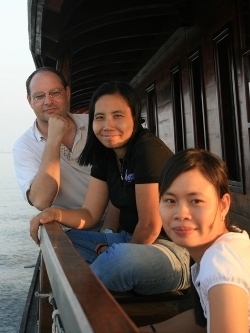 French engineer and lay polymath Benoit Perdu landed in Vietnam in 1992. There were no jobs for engineers back in France. He’d already worked with Vietnamese people and learned a bit of their language. So when the opportunity presented itself he moved to Vietnam, which was relatively ripe with opportunities for the able. After working at a steelworks company, managing a few contracts in the North, and then a gas plant in the South, Benoit got married in Hanoi in 1996. He moved to the Mekong Delta in 1997, started a joint-venture and built a gas terminal, before taking the head of a new agricultural insurance company. 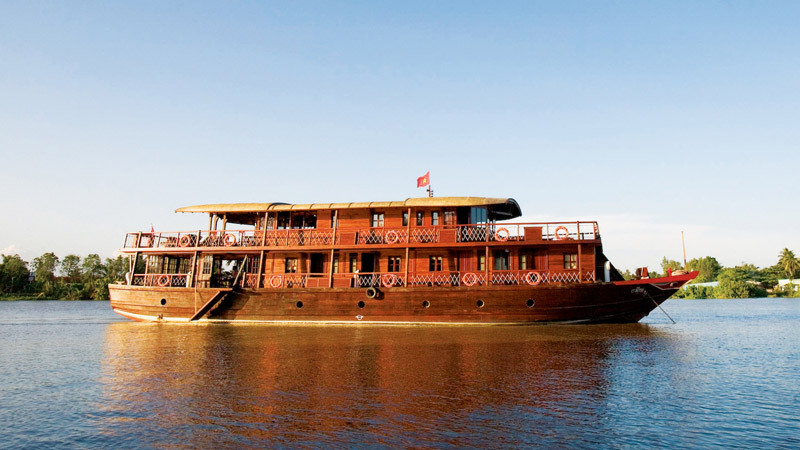 He fashioned with his wife Ánh Bassac Cruises in 2003, now one of the pillars of tourism in the Mekong Delta. When it comes to the Delta, there are few who match his keen insight and matter-of-fact observations on its tourism and its way of life. City Pass interviewed Benoit for an introspective look into Vietnam’s ricebowl. City Pass: How has the Mekong evolved over the years? 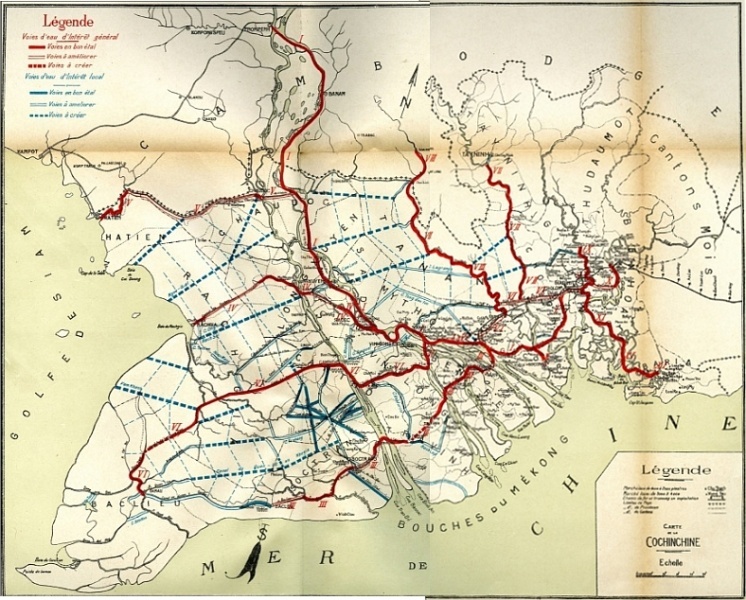 Benoit: Twenty years ago, the Delta had only 1600 km of paved roads, so most of the transport, even of light freight and agricultural produce, was done on the river, which had 20,000 km of riverways in the Delta. Today, the road is much faster, three hours to Saigon from Cần Thơ where it used to take eight, and trucks do most of the long-haul work, but as soon as one gets away from the main roads, the river keeps its place. The floating markets near roads are still very much alive, even though there is a tendency for them to dwindle as roads reach deeper into the sectors they serve. 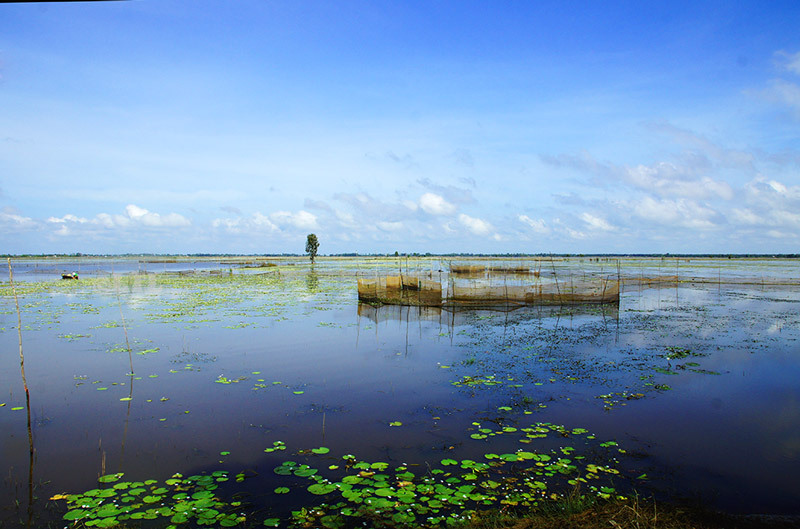 The Delta is more than ever the rice bowl of Vietnam, and an ecologically rich area, with its varied ecosystems – new species are discovered regularly despite the density of inhabitants. CP: What challenges is the Mekong currently facing? B: There are two main challenges: the environment, especially water, and education. We'll also have to talk about transportation logistics. There are about 700 people per square kilometer in the Delta. Everyone is digging wells to get fresh water, and the wells get deeper and deeper as each one tends to deplete the waterbank. The Delta is facing a shortage in freshwater in the coming years, inflow of seawater, and soil depletion. New dam projects upstream on the Mekong basin threaten to reduce the supply of sediments that make the Delta so fertile, and at the same time stop the floods, which wash the sediments over and recharge the land and fight erosion. Today for the first time in history, the Mekong Delta is shrinking because of erosion, despite international efforts to plant mangrove that would survive in salt water. The area may not be as rich or ecologically productive in the future as it is today. The situation may also threaten even the population of the Delta. This is the single largest challenge to the Delta today; it dwarfs any other one. The population needs education about simple day-to-day gestures, such as using trash cans, not to mention recycling. One visible aspect of this lack of education is uncontrolled dumping of foam boxes, plastic bags and other non-recyclables in the river, and its effects on travelers’ experience, not to mention the inhabitants. On the other hand, a few years back, garden and orchard owners started opening their premises to visitors to increase their revenue from tourism. This brought a welcome exchange between the two, but it also showed that the visiting urbanites, be they foreigners or Vietnamese, need education as well: for instance, as much as they love eating the fruit they plucked from the tree, they would not know to pick the ripe one, and so not only do they not enjoy it, but it also harmed the farmer in the process. There is a need for education of both ends: the local population and the visitors. CP: What are the most important attractions in the Mekong? 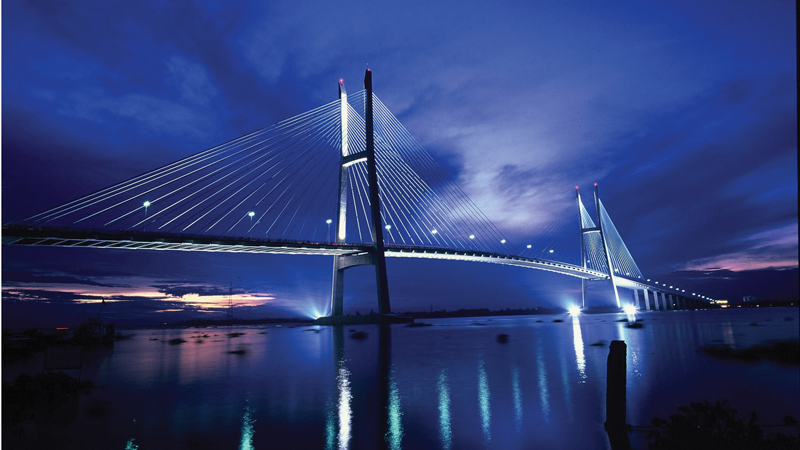 B: The better known are the ones close to Ho Chi Minh City, and can be accessed from [HCMC] by day. 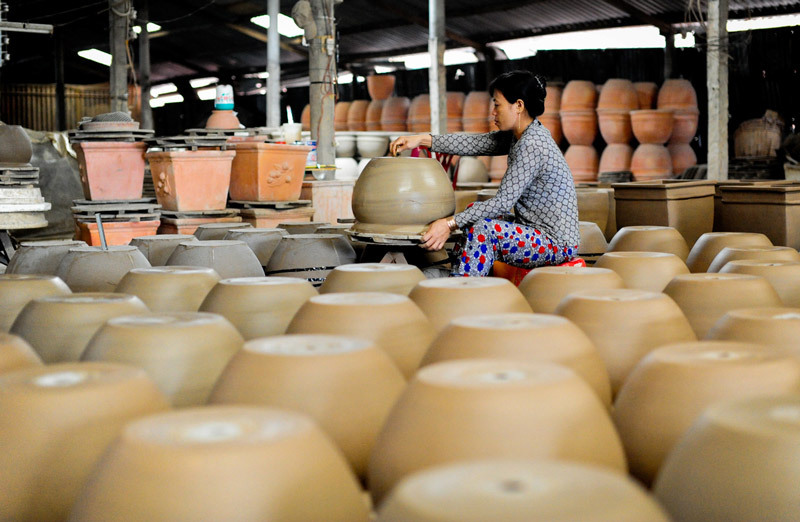 The handicraft village in Cái Bè district (Tiền Giang province) is pretty popular. The islands just North of Bến Tre, as well as Bến Tre itself with its coconut groves. 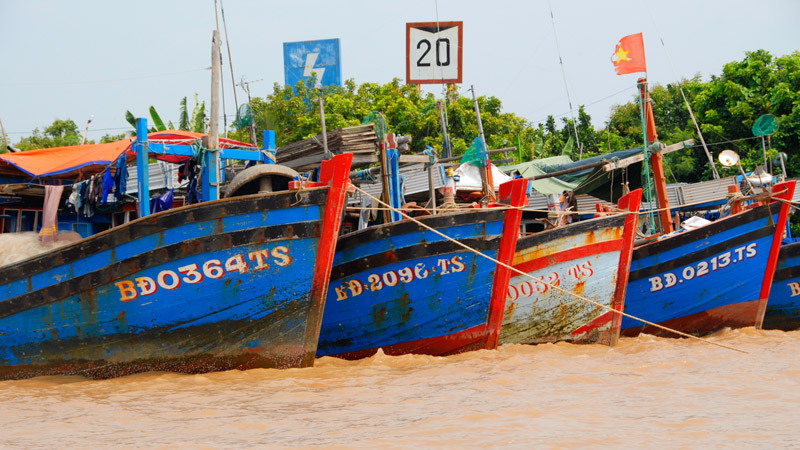 These are nearest to Saigon and make up the entire experience at 80% of “Mekong Delta tours”. It is a pity, as what the Delta has to offer is much richer: ambiances and markets, the sheer variety of its ecosystems, the traces of lost history. Visitors are usually given a tuned-down view of the Delta. 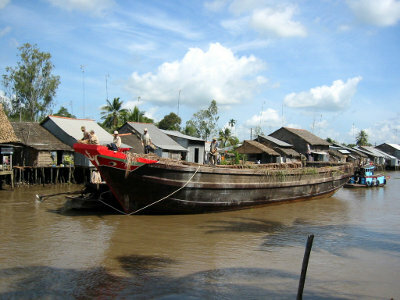 Fewer are the visitors who spend a night in the Delta, and they typically would go farther, to Vĩnh Long, or Cần Thơ for its floating markets. CP: Which are some lesser-known attractions that should be visited? B: There are a few actually. Some are ill-visited or not very much broadcast because of their very nature. So let’s start with the easy ones first. The one that really works for me is Tram Chim, the place near Cao Lanh in Dong Thap. If I remember correctly, it spans 7,500 hectares. A huge park, preserved to accommodate a variety of birds. Larger storks, herons, many kinds of birds. The ambiance and the people there are quite nice. There are few inhabitants, and the people in charge cooperate with foreigners to maintain a quiet environment, free of nuisances such as karaokes. North of the Delta, from Cho Moi to Châu Đốc, it is again a different environment, used to being flooded, with stilted wooden houses and high dykes, and even mosques around Châu Đốc. The province of An Giang has started to develop agricultural tourism, with activities that vary from season to season, and encompass fishing by hand or at night on Vàm Nao river, taking part in harvests. This is a very unique way to visit the place. South of the Delta, Trà Vinh and Sóc Trang are home of a large Khmer community, and there are literally hundreds of Khmer Theravada pagodas, with rich golden ornaments and pointed roofs, some of which are very old. The careful visitor will find there a deep experience of quiet and welcome. The thing about pointing out unknown attractions seems to single out certain places. The Delta is not a place where you visit this and then you visit that. It invites you to stop and grow your roots, get in tune with the simple and welcoming people who live here. A very enjoyable place to live. They have a saying: Can Tho has white rice and clear water, and whoever goes there their hearts don’t want to go back. And it is true. I have many examples. One is of a young man who came here for a very formal appointments. He stayed a night, then a week, then a month, and two years later he came back to settle down. It’s not a place where you come and visit things. You come to live with the Delta. That’s the one thing I would single out as most important: enjoy oneself in the quiet and simple life of the Delta. This is what we like to show the passengers of our boats, we focus on visiting small villages where there are a few houses and where people welcome you as you have a chat over tea and some fruits. There is this peace. There is this quiet. CP: Why is tourism limited in the Mekong? B: For a number of reasons. First is logistics. Tourists mostly go from the North to the South. 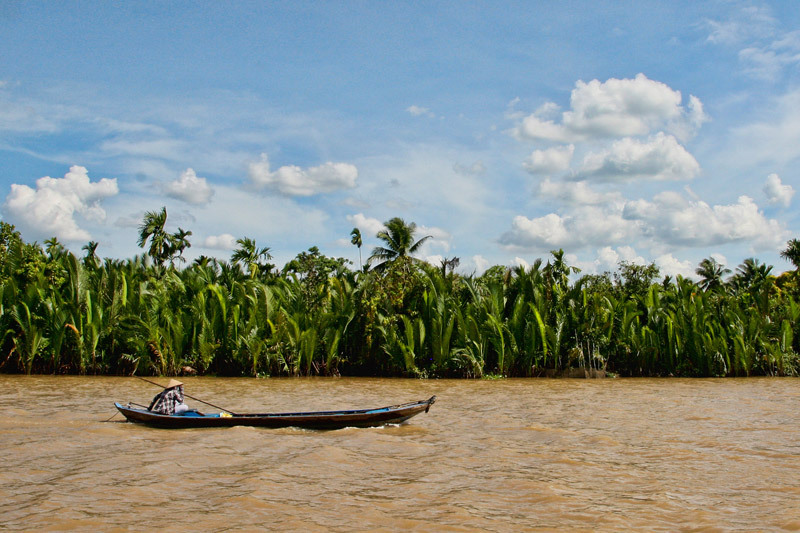 As the Mekong Delta is not in-between, it remains today mostly viewed as an extension. Let’s take a typical European tourist, who spends an average of 13 days in Vietnam. If she is traveling to the Delta today, from Ho Chi Minh City, it takes her one half-day on the road each way, one night lost at a stopover hotel in Ho Chi Minh City, then she has a day and a night left in the Delta while she spent two to get there. It makes the Delta expensive in time. There are obvious ways to alleviate this. One is to increase flights between central Vietnam and Cần Thơ. VietJet Air is starting to do that with some success. We begin to see travelers who make the best of it and cut the time they spend on the road in half. Vasco is even scheduled to open flights from the Delta to Đà Lạt. As the provinces of the Delta begin to work together, Cần Thơ is becoming a hub from where travelers may extend their journey towards other provinces. Another aspect of the Delta is that, with its mostly flat landscape and easy communication, the populations of the Delta have long been in touch with each other, and so are less contrasted from one another, less colorful or varied to the untrained eye. In fact, whether you are interested in people's life, in ecosystems, in history or religion, or especially in boats or in fish, it only takes visiting along with a guide knowledgeable in that field to come to see the richness of the Delta. I have spent 17 years in the Delta, and thought I knew it through and through, but it took just two days wandering with a historian friend and a few talks, and my! Did I come back enlightened – we went to Trà Vinh, but we now have other destinations in mind. The Delta holds treasures to be discovered. Remnants of thousand-year-old Buddhist pagodas, remnants of the Óc Eo settlements, an active Franciscan monastery, engineering marvels of protective dikes and locks, floating markets, shipyards, orchards, and everywhere the welcome of the people. And what people, from Muslim Chàm to Buddhist Khmer to Chinese to the Kinh themselves, all with their saga of patterns and settlements, of religious reforms and sects, all hard at work, living their trades and traditions, with their own style. Indeed, whatever the traveler's interest, there is much in the Delta. CP: What kinds of tourism options are available in the Delta? B: Most foreigners today go to the Delta from Ho Chi Minh City within a day – at the end of their visit of Vietnam, a short break from the megalopolis before flying home. While this allows them to tick “Mekong Delta” on their blogs, it takes longer to truly enjoy the area. For a richer experience, come all the way to the heart of the Delta, and radiate from there to neighboring provinces: south-east to Sóc Trang or Trà Vinh and the Khmer world, south-west to the forest of U Minh and to the sea mangroves; due west to Kiên Giang and the remnants of Óc Eo, north to the Muslim Chàm minorities and the stilted houses of Vàm Nao. North-west to Xẻo Quít or Tràm Chim. From Cần Thơ, there is a wealth of possibilities: you may take a breakfast on a boat on the way to a floating market and complement the tour with some cycling; you may go camping, visit farms and rice fields; you may board sampans and visit the misty island in Vĩnh Long and eat at a peasant's home; you may take a full cycling tour (imagine: no hills, only bridges) and stop at will for a nib at a fruit from an orchard. The quiet way to explore without strain is to take the time and follow an overnight cruise through the Delta, which may take you, for instance, from the low mangroves of Tiền Giang, across the Delta through the smaller waterways in the greener areas, to Vĩnh Long with its higher woods and coconut grove-patched rice fields, and then to the Bassac river and Cần Thơ. 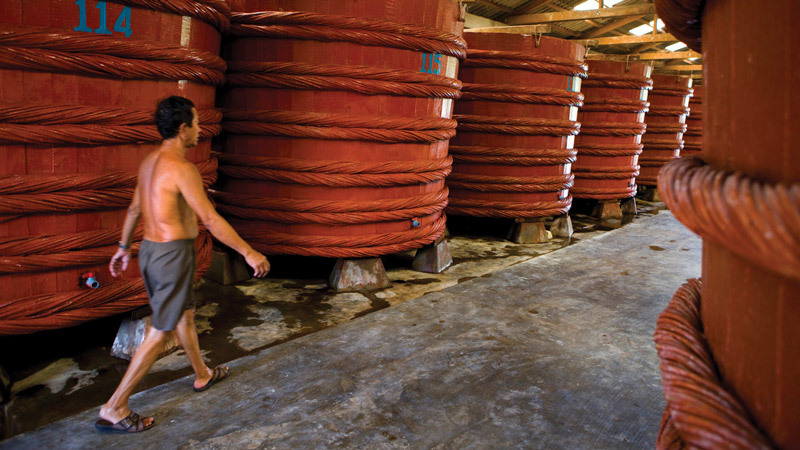 Along the way, you will have seen the quiet and natural alongside the working Mekong. Groups can even charter a boat and run their own route, explore all the way to the confines of the Delta, even to Rạch Giá on the gulf of Siam, with its starlit skies and flights of silver fish. Following Vietnamese tourists is also a way to do what makes the Vietnamese tick, and there are a lot of destinations and activities to try in the Delta this way. Typical Vietnamese tourists travel to have a good time: party, spend time together, often drink hard, but experience new things, and as they know Vietnam already they are looking for something special. They will eat turtle and scorpions, pack in tourist attractions and look for odd memories they can bring back home. In An Giang, for instance, you may take part in the rice harvest, or in night fishing on Vàm Nao river, and spend the night in a peasant's shack accessible only by boat. This is not for everyone, and is for the most part staged as you are not expected to do hard work, but it makes for a memorable experience. It may well end in a drinking party with the peasants. B: The Delta is too large to change as fast as the rest of Vietnam, and it holds today the same potential that made Vietnam so worth exploring twenty years ago. There are many ways to visit and enjoy the Delta, but if you care for its inhabitants, go with a local agent who has stakes in the Delta's economy, brings part of the wealth back to the inhabitants and pays taxes in the Delta. Some of the best travel agents in Ho Chi Minh City do so too, through redistribution programs.